Edwin Hooper and Ian Adair within the pages of this manuscript give us over 30 gags, ideas and routines with latex bananas. Many of the gags can be also worked with a plastic or sponge banana. 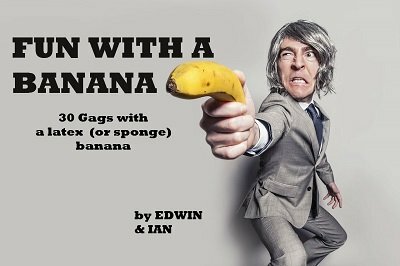 A banana is a comedy prop itself, this is sure, but when you add the Edwin & Ian's touch, then you can be sure your audience will laugh and be entertained. 1st edition 1979, 5 pages.